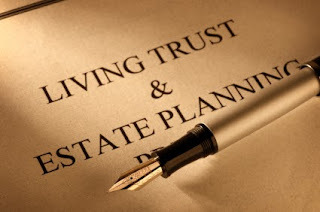 Your Texas Estate Plan: Living Trusts and the P-word. Living Trusts and the P-word. You might have heard of something called a "Living Trust." You might have even been told that you need one. Why? Mainly to avoid the p-word. That's right, Probate. If you can avoid probate, you should, right? Not so fast. Lets start with the basics. All this happens after you are dead. You will never see the lawyer's bill, you will not have to go to the courthouse, and unless you are taken advantage of, the probate process really is not very costly. But, you are convinced, you need a living trust, because your neighbor has one, or you saw it on "legal zoom," or your insurance agent told you to get one. You Really are afraid of the P-word: If you know that your trustee (it can be you, but there are dangers in this) will be cost effective, then a "living trust" can save your estate money in the long run. Again, you will be dead and not able to enjoy it, but your children might thank you. You want privacy: a will becomes public record. A trust stays private, and no one will know except the trustee, hopefully. But if your mistress is seen living in your vacation home and driving your car, it really doesn't matter, does it? You want someone to manage your assets: By placing assets in a trust, you create a vehicle to manage your stocks, bonds, real estate..anything. And should you become injured or incapacitated, you will have the structure for someone else to step in and take over for you. You are crazy: Literally. The formalities for creating of a trust are not as stringent as those for a will, meaning they are much less likely to be challenged by that one disinherited child, wife, or whoever. Maybe these issues are important enough for you to want a "living trust." Great, more work for me, because you should always have an attorney prepare this document for you. This will cost you money. You will have to transfer assets to the trust, which again, costs you money. There can be state and federal taxes on transfers to revocable trusts (as well as transfer taxes on irrevocable trusts) that will cost you money. All these must be paid in a time that is commonly referred to as NOW, not later, when you die. Even with all this, it just might be cheaper than waiting until you die, so its worth it, right? That's up to you. You will need a will either way (see earlier post), and you should have your situation analyzed by a competent estate planning attorney. Then you will have to decide if the cost now will really result in savings later on. Probate can be a time consuming process, but the built in time periods are in place so creditors and other beneficiaries are not cheated out of anything rightfully theirs. Indeed, a trust can provide more instant gratification for beneficiaries, but there are trade-offs for this as well. Best of luck.